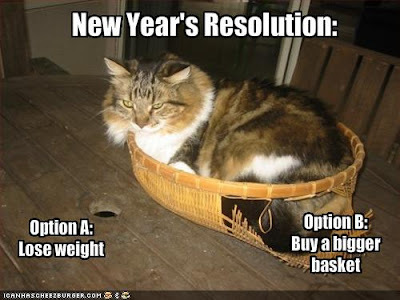 They may be cheesy, they may be naive, they may be doomed to failure, but I still enjoy New Year’s Resolutions. Reviewing the past year’s events is always useful and I like the feeling of starting a new year with fresh goals. Like everyone, I make the usual promises to myself: exercise more, eat less junk food, spend more time with family, etc. I also make some video game-specific plans that I’d like to share. First, let’s see how I did on last year’s resolutions. I specifically set out to play three major 2010 releases: God of War III, Super Mario Galaxy 2, and The Last Guardian. Since The Last Guardian’s release remains as mysterious as its titular mythical beast, it seems I met these modest goals. GoW III and SMG 2 were two of my favorite games of the year and I see myself going back to them throughout 2011. I planned on taking a stab at my backlog in 2010, and while I didn’t get around to everything, I did have the pleasure of playing Dead Space and Braid. Dead Space was a great game that used classic techniques from horror movies to instill a sense of dread as I rounded every corner. As pretentious as it sounds, Braid turned out to be one of my favorite games of all time. I’ve written quite a bit about it, so I’ll just move along before anyone starts throwing tomatoes. Of course, I bit off more than I could chew and ended up leaving a list of games untouched, which leads me to my first resolution: to be more selective regarding my backlog. I’m a big Batman fan, and any game that brings back the cast of Batman: The Animated Series deserves my attention, so Arkham Asylum stays on the list. Additionally, I love analyzing unique approaches to challenge and difficulty, so Demon’s Souls is a game I’ll be looking forward to playing. Aside from that, I think I’ll just go with the flow and see what 2011 has to offer in terms of big releases. Vanquish, one of my favorite games of 2010, wasn’t on my radar until shortly before its release and I want to stay open to more unexpected surprises in 2011. My other major resolution is to actually implement last year’s “broadening horizons” project. I never strayed too much from my genre comfort zone in 2010: major console platformers and action games took up most of my time. There’s nothing wrong with that, but I would like to keep my eye on other sections of the gaming world. This year, I have a plan! Soon, I’ll have an iPod Touch, which will allow me to jump into the exciting iOS realm. Although it’s a cliche, I really think that the advent of the AppStore has had a remarkable effect on the market in terms of price, player expectations, and accessibility. In some ways, it feels like mobile gaming is going back to the Game & Watch days: short games with simple presentations, built around streamlined rules. At the same time, games like Infinity Blade are experimenting with the limits of the technology, while titles like Game Dev Story seem to succeed in commenting on the industry by using the game rhetoric. Also, people have been talking non-stop about Angry Birds, so I’ll be happy to figure out just what the hell that thing even is. Lastly, I want to wade deeper into the indie and experimental scene. To do this, I’ll use Christopher Hyde’s excellent list of 99 Free Games From 2009 as a guide and follow any tangents that present themselves. Christopher compiled a great collection of games and I’ve only played a fraction of them. I find it amusing that Minecraft is nestled in there at number 23. Who would have expected it would make such an impact in 2010? It raises the question of what other potentially massive gems can be mined from the obscurity of the Internet. There’s only one way to find out! So there you have it: In 2011, I resolve to be more selective with my backlog, to go with the flow in terms of new major studio releases, and to explore platforms I’ve historically neglected. As always, we’ll see how this turns out, but I think all this is quite feasible. Finally, I’ll turn it over to you, dear readers: What was 2010 like for you? Any specific game-related goals for the new year? Anything I or anyone else should check out? As always, thanks for visiting the site. It’s been a great year. Take care and have a Happy New Year! thanks for linking to last year's resolution post, I'm almost proud of myself, since I managed to almost play every game on my list from back then. It's been a crazy year of sorts, it seems I was buried in exams half the time so I couldn't read, write or play anything and the other half of the time I played so many games that I couldn't read or write anything either. Well I gues at least I spent more time actually playing games than just reading or writing about them. This year's gonna to be a little difficult as far as gaming goes since I'm gonna spend a lot of time abroad without stationary consoles, so I'll probably take this as a chance to dig into handheld gaming a little deeper. Right now I'd probably have trouble to even make a list. Both of the God of War Games and MGS Peace Walker for the PSP and the Zelda games for the DS would definitely be on there. Got any must play recommendations? I've really been on a little blackout as far as handheld gaming goes. You're right: you were a gaming machine last year! Like you, I'm kind of out of the loop in terms of portable games. If you're in the mood for brain-teaser style stuff, Picross 3D is pretty neat. Of course, Jorge would kill me if I didn't reccommend Layton! Good luck on working through the rest of the back catalog; I'll be interested to hear what you think of RDR and Heavy Rain. I think those were two of the most thought-provoking games of the year.